This pulled pork is a wonderful weekend or party meal. It feeds a ton of people and can be morphed into sandwiches, hors d’oeuvre, or a proper roast dinner. 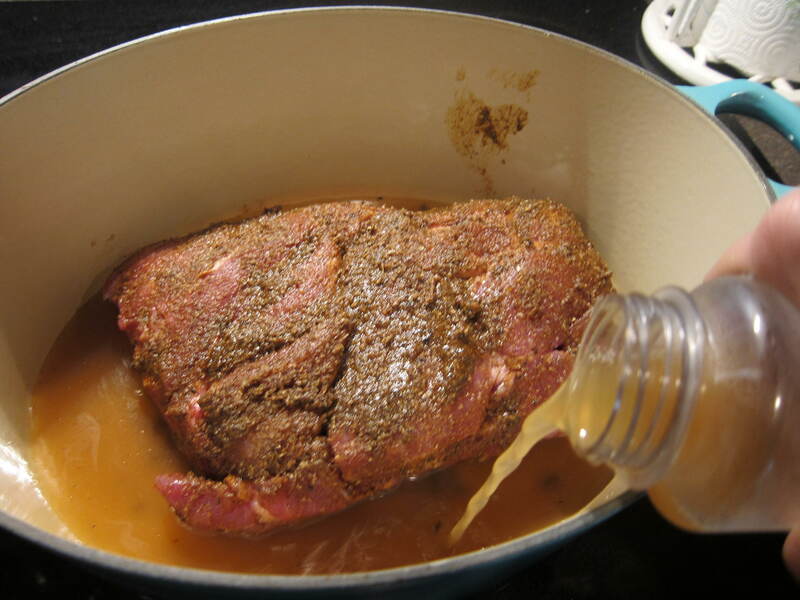 Place the pork into a large Dutch oven, rub with the Spice Rub, add the Apple Juice. Cover with the lid and place into the preheated oven for 3 1/2 to 4 hours. You’ll know it’s done when you can shred it easily with a fork. 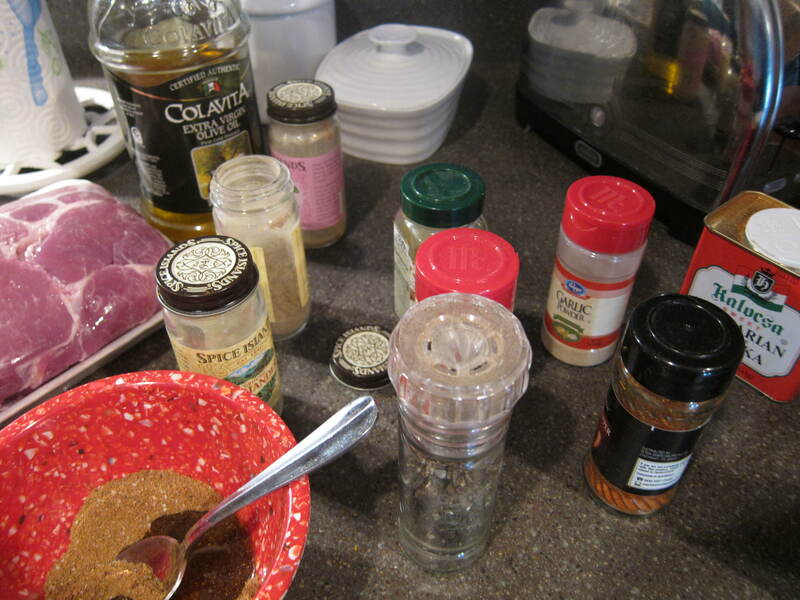 Combine the Spices and Olive Oil then rub all over the Pork Shoulder. 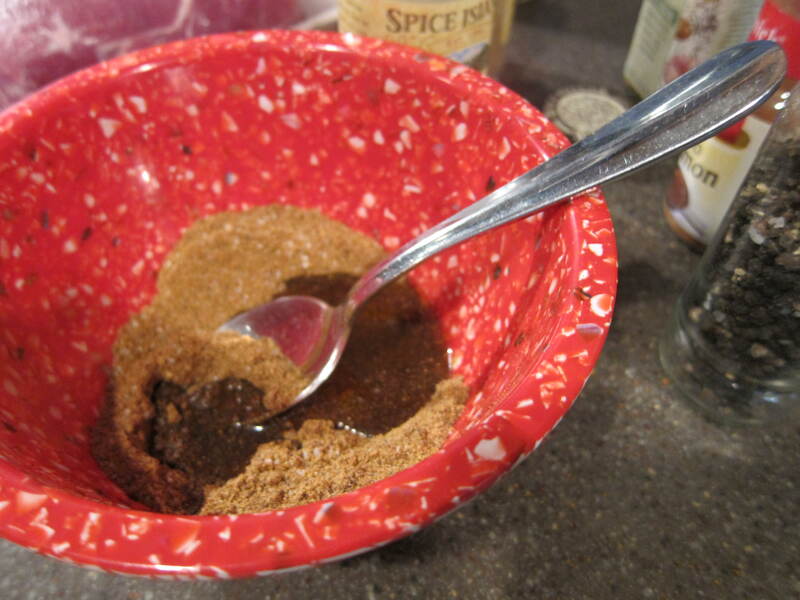 If there is excess Spice Rub add it to the pot. Remove the Pork Shoulder and set aside. Place the Dutch oven over medium high heat and bring the cooking juices to a boil. Add the Garam Masala, Tomato Paste and, Brown Sugar to the pot. Whisk until the sauce thickens. Turn the heat down to low and allow to simmer for about 5 minutes. If the sauce seems too thick add a bit more apple juice or water. Taste for seasoning, add more salt if desired. Allow the pork to cool a bit before you shred the meat into chunks using two forks or just your hands. Pour over about a 1/2 cup of the BBQ sauce reserving the rest for serving. 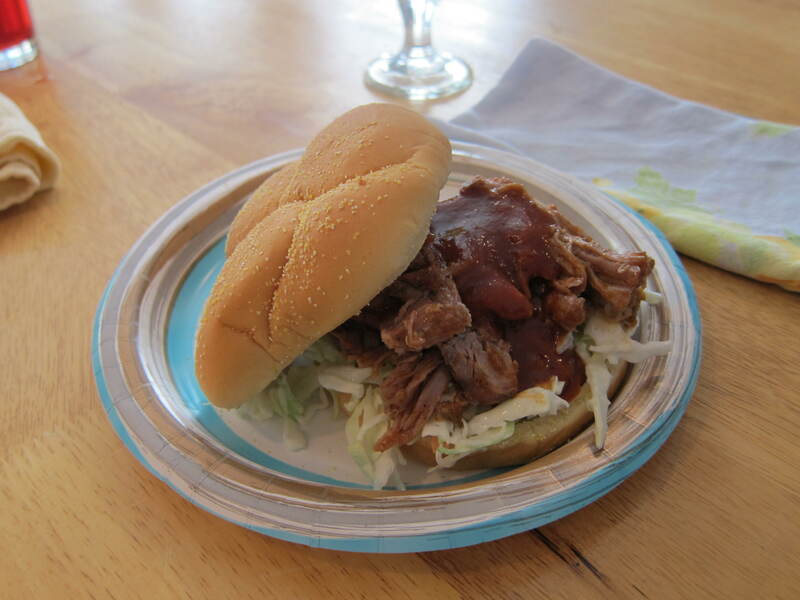 Serve the pork on a toasted bun with plenty of BBQ sauce on the side and topped with your favorite cole slaw recipe. P.S. It’s really great with “re-fried” black beans on toastadas or flour tortillas too!